Freehand rendered fashion sketches. 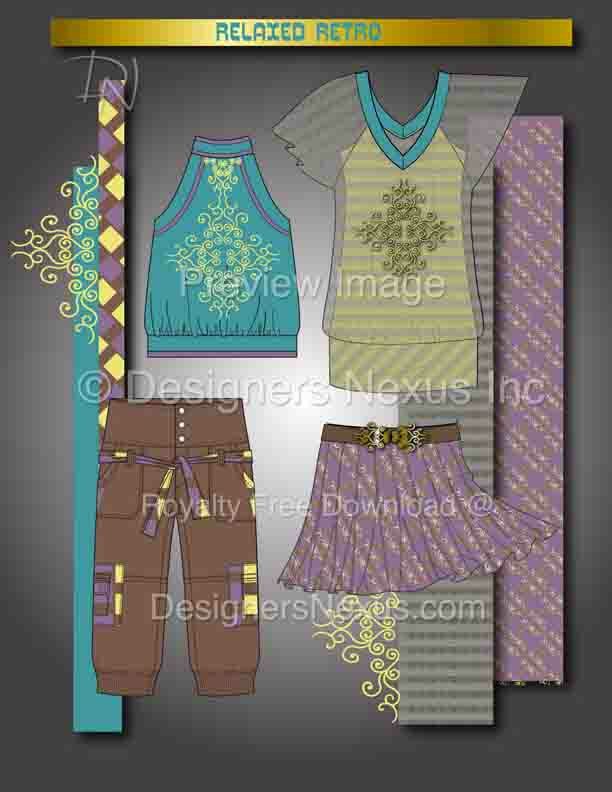 Fashion design apparel: Womenswear fall season 'layered separates with contrasting accessories' group. Freehand fashion sketches. 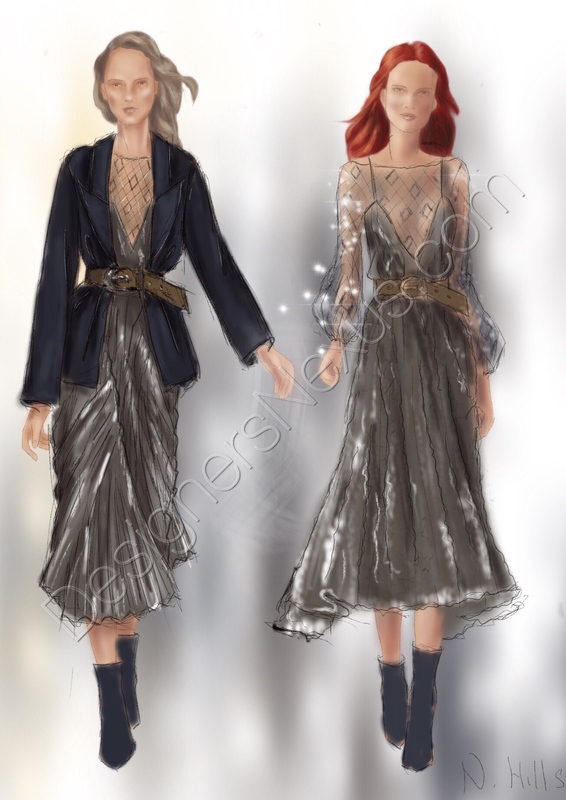 Fashion design apparel: Womenswear fall season roughly rendered fashion illustrations of two walking models. Definition: the term Fashion Illustration refers to sketches of fashion garments and accessories. Technically, the term Illustration refers to “a picture illustrating books and newspaper”. In Fashion, before photography took over, fashion drawings were used in store catalogs to illustrate available apparel designs, and came to be commonly referred to as “fashion illustrations”. Although today fashion terms “fashion illustration“, “fashion sketches“,and “fashion drawing” are often used interchangeably there is a difference. “Fashion Illustration” refers to the purpose of a picture or image, whereas “Fashion Drawing” describes the attributes of a type of illustration. Fashion Illustrations can actually include any image related to fashion- such as fashion drawings, fashion sketches, photographs, paintings, and so on.